I follow the instruction on dual booting with Windows 10 with Antergos, and upon rebooting, the laptop will not do anything after the Surface splash screen but go straight to grub rescue. The commands I saw which are supposed to be available likie ‘exit’ and such do not work. I have not been able to get the laptop to boot from the same USB I installed Antergos with. No matter if I hold the volume key down or not it goes straight to grub rescue and I can do nothing but hold the power key down and shut it down. I can go the UEFI settings to do whatever but I already have it set to try the USB first at power on time. @joekamprad Yes I’ve seen this before, but it will not even boot from the USB for me to do anything. It goes directly to grub rescue with nothing for me to do. No commands work. The ‘ls’ command showed your machine’s partitions. Do you know the contents of the partitions, i.e. where is Windows, where is Antergos, etc.? And what would you like to do (instead of installing Antergos), does it boot to Windows anymore? I can boot into Windows if I turn Secure Boot back on that way it doesn’t even try grub or whatever it does, then it will in fact jump into Windows just fine. I looked at the link that Joe presented, and it seems to be quite hard to get Arch/Antergos work with Surface Pro 3. That Secure boot is really spoiling the party here, since Antergos (and Arch AFAIK) are not supporting it. to find out exactly which one is the Antergos root partition. Not sure if that really helps but shouldn’t hurt either. 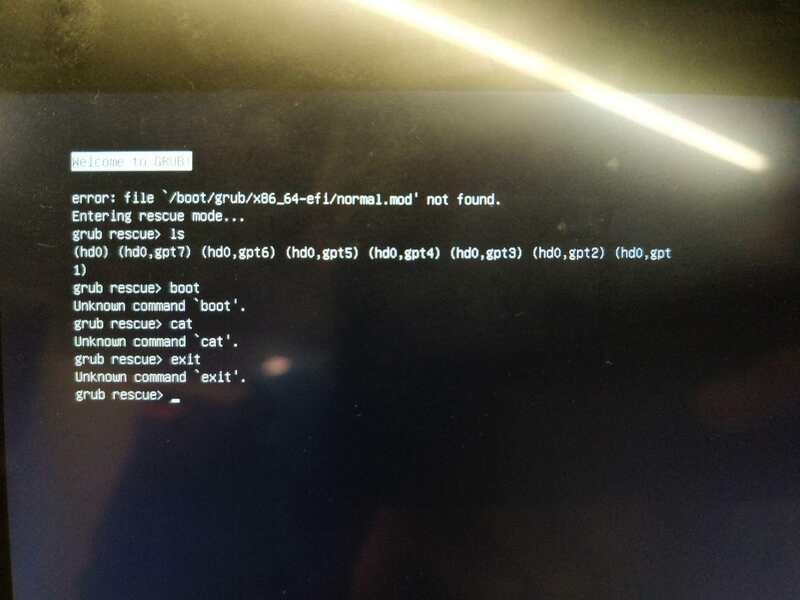 @manuel I set my root to (hd0,gpt7) however although there is a boot folder in it, there’s seems to be nothing else that I can point to since I can’t really see much doing the LS command it. I did ls (hd0,gpt7)/ and it showed boot, var, and etc. 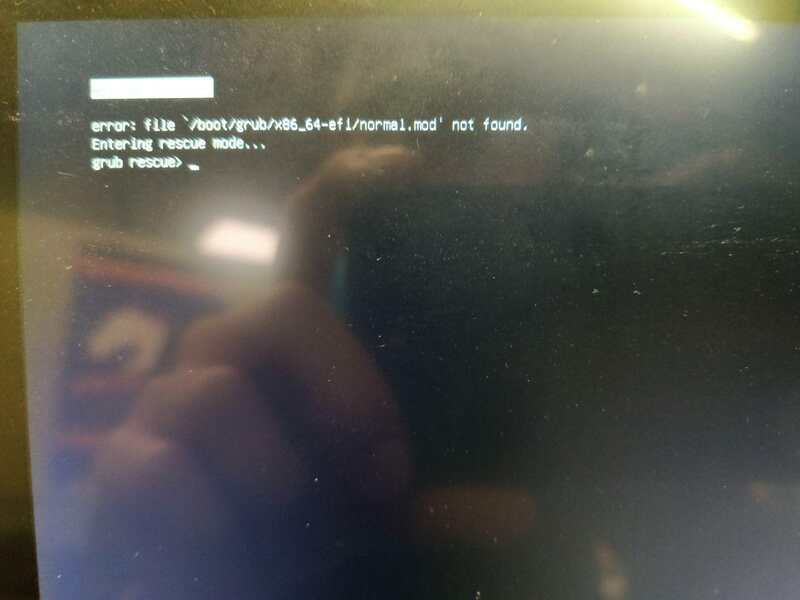 ls on the boot folder showed nothing else in it so I have no idea… I did a insmod normal and it just gave me the same error that I started with. I’m gonna turn secure boot back on since that’s the only way to boot anything and use Windows and try to just restore the UEFI drive and give up for a bit. I guess it was worth a shot. Do you have a separate boot partition for Antergos? That may explain why (x,y)/boot is empty. @manuel I don’t have a seperate boot which is why it’s weird, I only have a swap and root, then just the UEFI partition.